Best Colleges for Veterans, Women in Infantry, & More! November is National Family Caregiver Month. Read more about it in our first article. 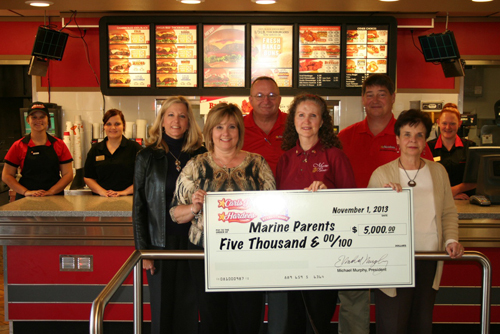 For the third year in a row, Hardees franchises in Cleveland, Tennessee have held a fundraising campaign on behalf of MarineParents. 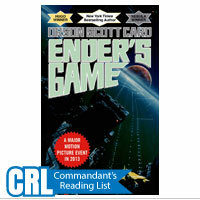 Read all about it in our second piece. Long time House Representative and MarineParents.com supporter Ike Skelton passed away just over two weeks ago. 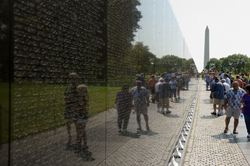 Our third article honors his memory. 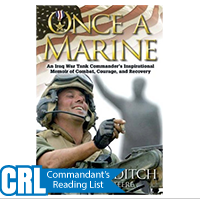 Our second-to-last piece is a series of four "Quick Read" stories, and provides a short look at women in the USMC infantry, the best colleges for veterans, the 31st anniversary of the dedication of the Vietnam Veterans Memorial, and the recent decrease in military suicides. 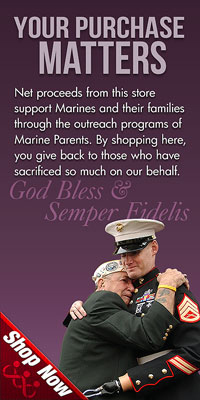 Finally, we take a look at this issue's Team Marine Parents Featured Participants. 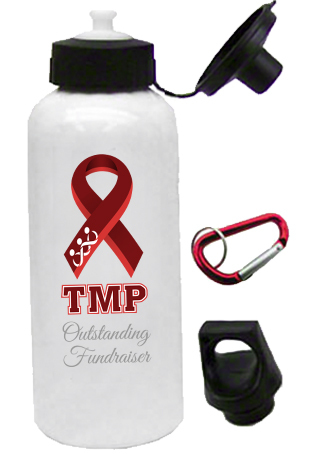 In honor of their dedication and willingness to go above and beyond, we'd like to thank an elite group of fundraisers, TMP's "Over 1K Club!" Across our country, more than 60 million Americans take up the selfless and unheralded work of delivering care to seniors or people with disabilities or illnesses. The role they play in our healthcare system is one we must recognize and support. During National Family Caregivers Month, we thank these tireless heroes for the long, challenging work they perform behind closed doors and without fanfare every day, and we recommit to ensuring the well-being of their loved ones and of the caregivers themselves. Back row, from left: Julia Scoggins, David Self, Ed Stuteville. Front row, from left: Tammy Bivens, Barbara Gemmell, Brenda Eckard. For the third consecutive year, J&S Restaurants, the Cleveland, Tennessee-based franchise for Hardee's restaurants in the surrounding region, ran its annual "Stars For Heroes" campaign, in which customers at area Hardees restaurants had the option to purchase a "star" with their meal for an extra $1. 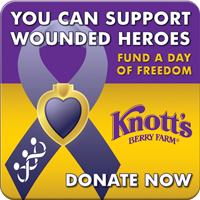 The stars were then displayed on the restaurants' walls to show support for military men and women. Ike Skelton, the former House Representative who served western and central Missouri for 34 years, died just over two weeks ago, on October 28, at a hospital in Arlington, Virginia. Skelton, 81, had been admitted to the hospital a week prior for complications due to pneumonia. 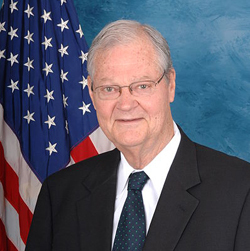 The Department of Defense lost a lifelong friend yesterday with the passing of former Rep. Ike Skelton. His leadership of the House Armed Services Committee, and his passion for our men and women in uniform, helped make the military he loved stronger. He will always be remembered for his commitment to bi-partisanship, his work to get our troops what they needed to succeed in battle, and his belief in the importance of professional military education. He will be missed by so many of us. Our service members, their families, and the people of Missouri have lost a staunch advocate. My thoughts and prayers are with his wife Patty and the entire Skelton family. 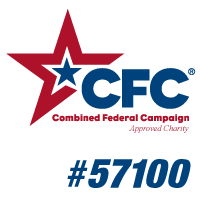 In addition, Rep. Skelton was a valued supporter of MarineParents, and was responsible for getting our organization in the Congressional Record in March of 2010, for which we are eternally grateful. 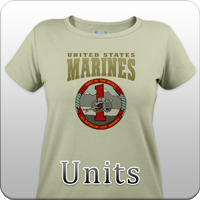 In what would be a landmark moment in Marine Corps history, the commander of School of Infantry-East has stated his belief that multiple female Marines will graduate from Infantry Training Battalion in November. 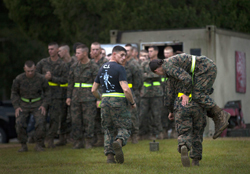 Of the 15 female Marines who began infantry training with Delta Company at Camp Geiger, N.C. in September, eight dropped out before what is generally considered the most challenging aspect of infantry training--a 12 1/2 mile hike across Camp Geiger under 90 lbs of gear. Of the seven female Marines who began the hike on October 28, four completed it, making their graduation on November 21 a very strong likelihood. As a distance run, 1K isn't all that impressive (1 kilometer = roughly .62 miles), especially not by a group of people who have spent months getting in shape and training for last month's Marine Corps Marathon. 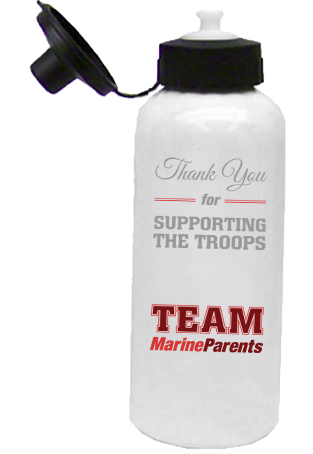 However, as an amount of money raised during the 2013 Team Marine Parents season by one person or team, $1,000 is quite an impressive feat, and is well above the $300 goal that TMP members pledge to raise. 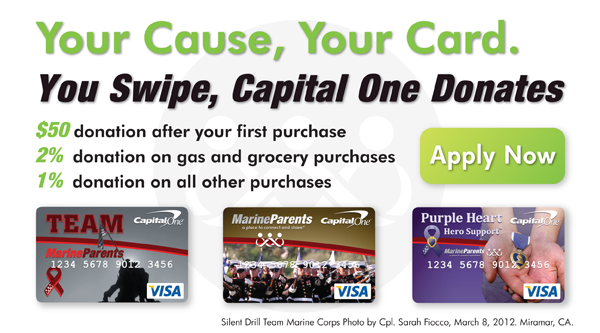 We would like to extend one more big "Thank You" to the members of the club, as well as to everyone out there who took the time to compete for, raise funds for, donate funds to, and support Team Marine Parents. This was our most successful year by far, and it's all thanks to you! We hope to keep the momentum going and can't wait to see what 2014 has in store for the the team!